It's time to set March's OMG (One Monthly Goal) hosted by Red Letter Quilts. 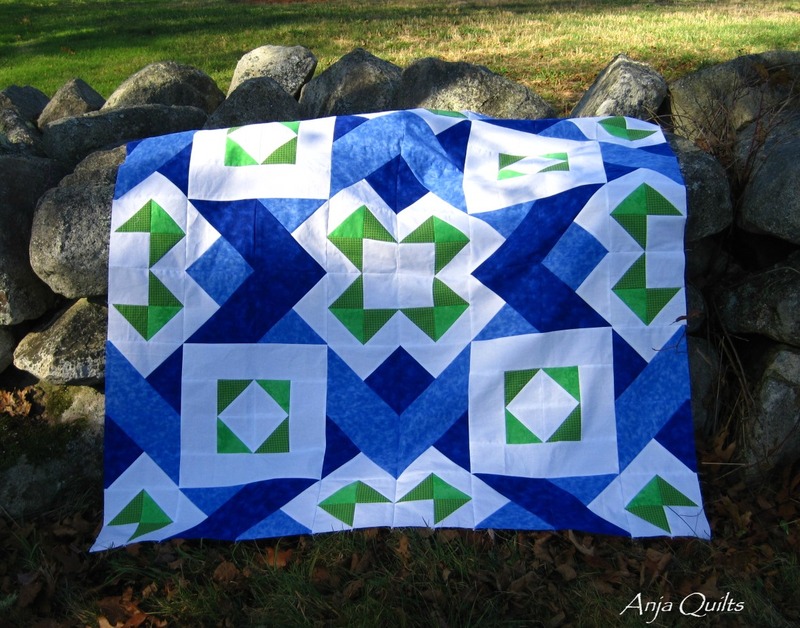 I have no idea how to quilt this, but I'm going to make it my March goal. This is the Ocean Sky pattern created by Brianna @ The Iron and Needle that I finished here in December. The pattern is very striking. I will definitely make it again. I apologize for the delay in announcing the winner of my giveaway. The winner is Liz from Prince Edward Island, Canada. I love the colors in your version so much. I almost made mine my OMG. Can't wait to see how you decide to quilt it. This is beautiful. Have fun quilting it. 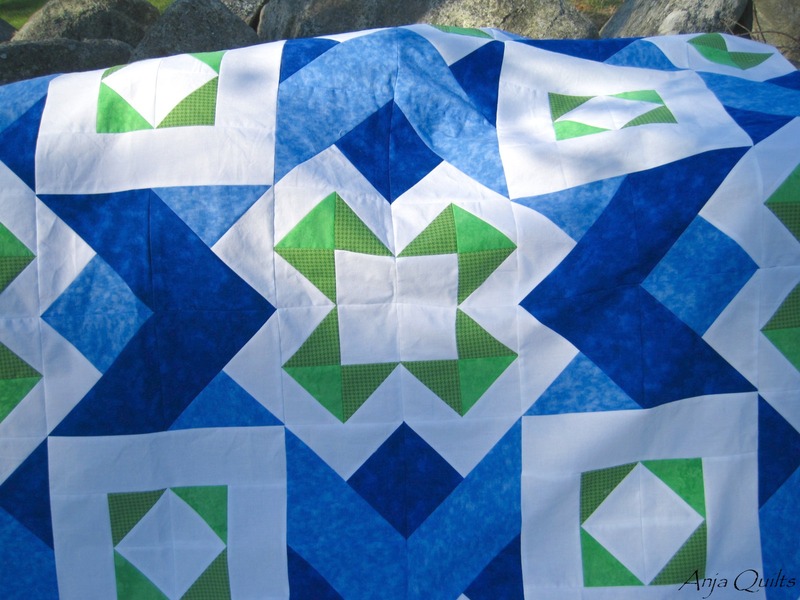 It is really beautiful and I will check back to see how you quilt it as I seem to get lots of inspiration from you. How can you have more than one 'Dena' following you?? Such an odd concept. This is a gorgeous quilt. I love your color choices. The white is striking, and the blue and green work so well together. I can't wait to see it quilted! Have fun with it! This is beautiful! I love your color choices as well. It will be so fun to quilt!